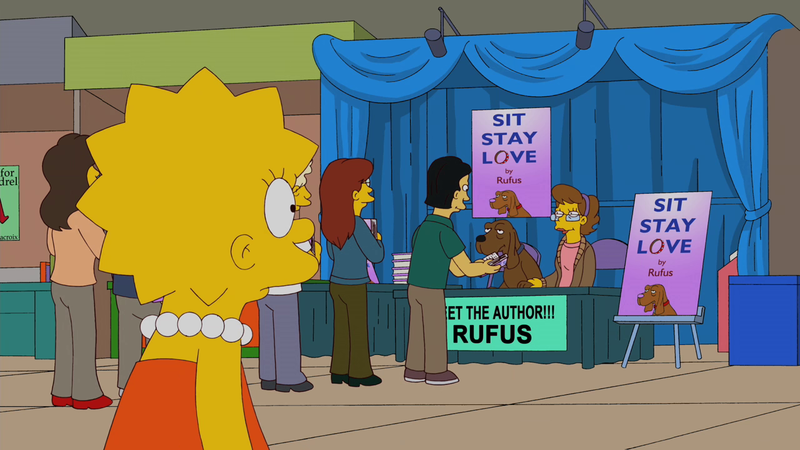 Rufus is the author of Sit Stay Love. At the Springfield Book Fair, Lisa was annoyed to find that even a dog had written a book when she hadn't. Modified on January 7, 2013, at 16:58.